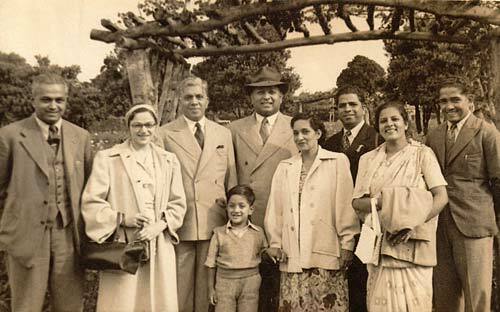 In 1953 the Fijian Indian community in Auckland held a function to celebrate the composition of a song for the new Queen Elizabeth’s visit to Fiji on her tour of Commonwealth countries. Shown from left are Mr Devji, Mrs Rao, Mr Rao, Dr Satyanand, Mrs Satyanand, composer Mr Pooran Singh, Mrs Suku and Mr Suku. The young boy at the front is Anand Satyanand, who was governor-general from 2006 to 2011.